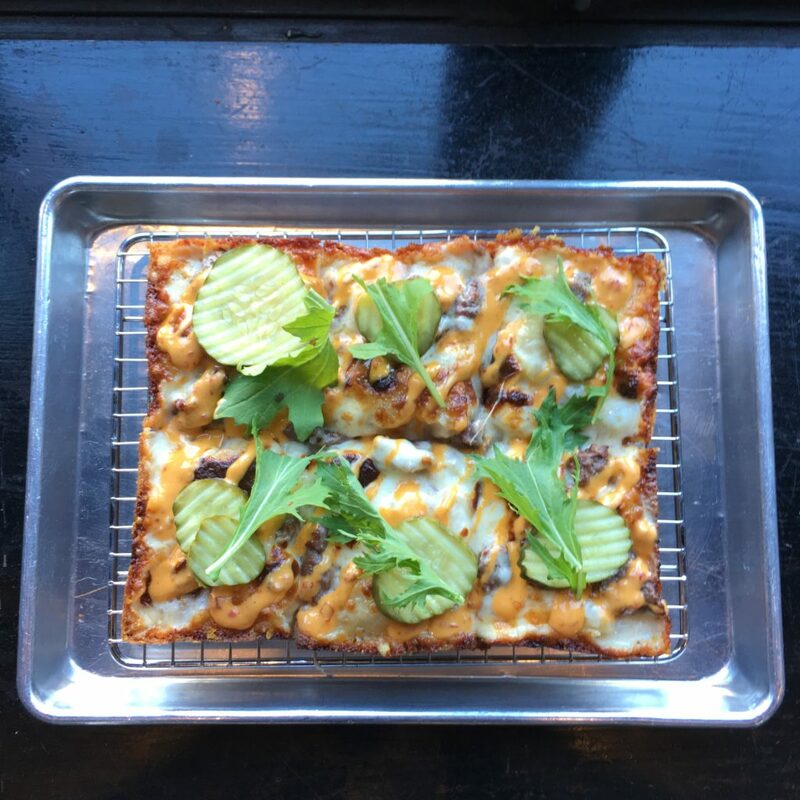 You may have had Burgers and pizza before in your life, but not like they have at Emmy Squared. You may also have had Burgers and pizza at Emmy Squared, but not like you will on this very special night! 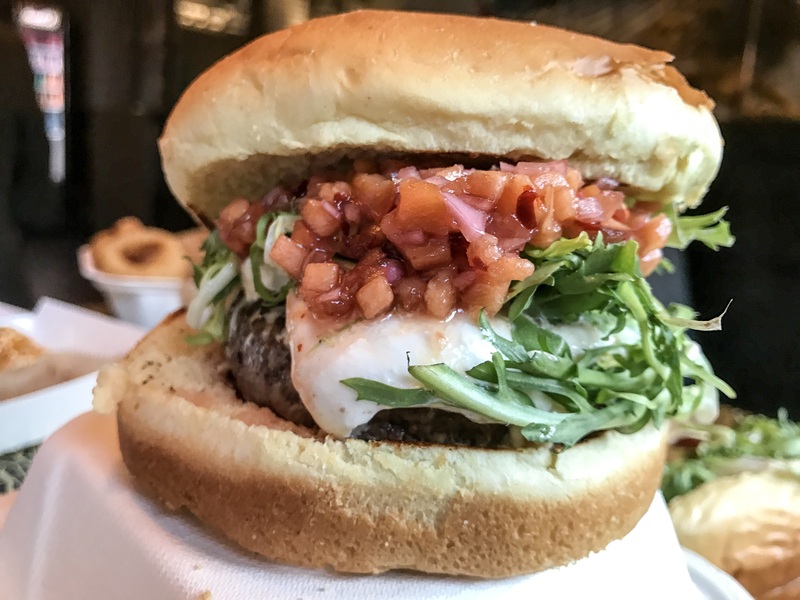 Emmy Squared, the restaurant in Williamsburg, Brooklyn, owned & operated by husband and wife team, Matt & Emily Hyland is well-known for their Detroit-style pizza and their drool-worth Le Big Matt Burger. Its on many a list of top accolades and deservedly so. 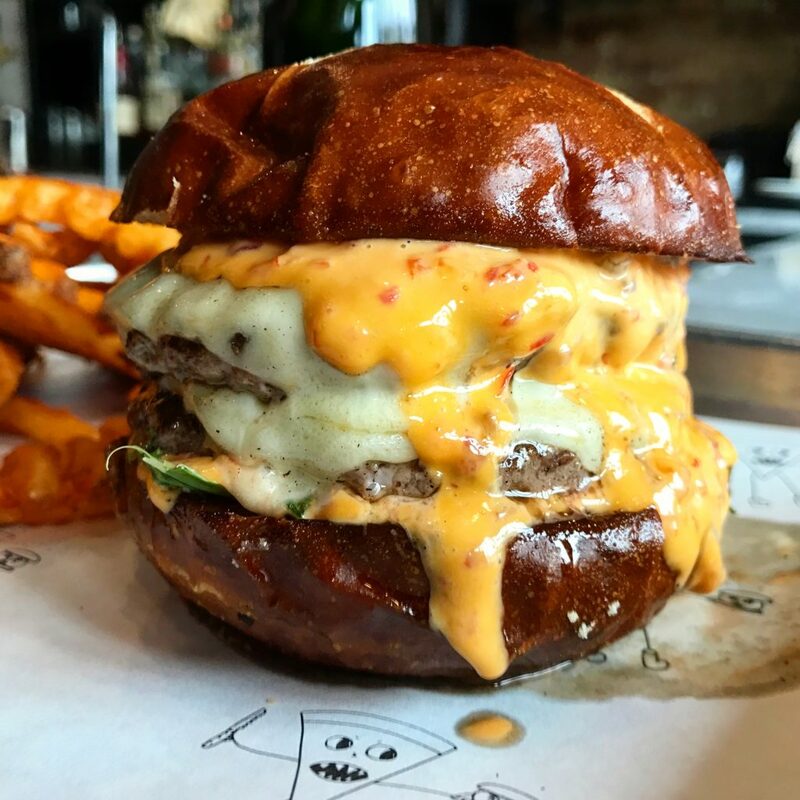 But on the opening night of the 2017 NY Burger Week, things are going to get crazy. 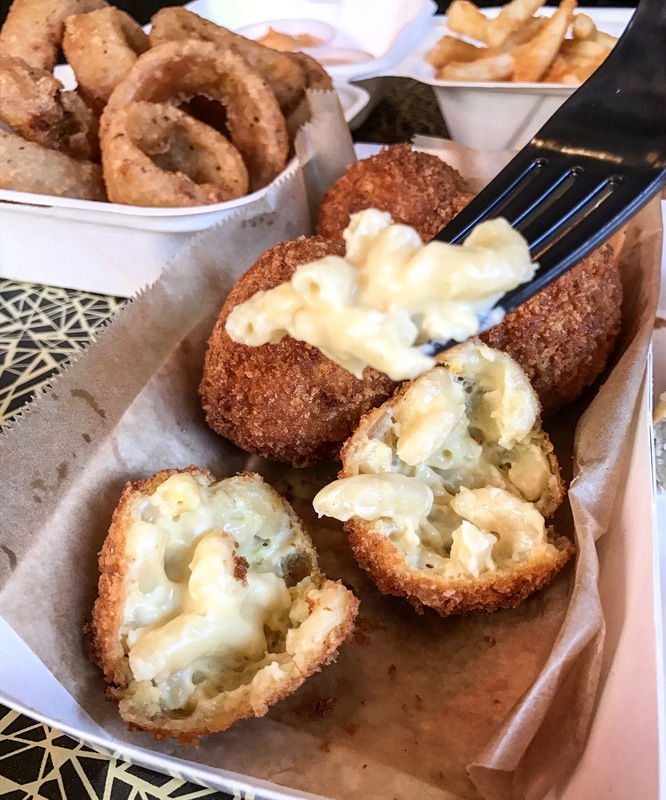 For the very few people who can get a ticket, you’ll be treated to 3 different mini Le Big Matt’s all made with a different meat. If that’s not reason enough, you’ll also get a slice of a Le Big Matt style Emmy Squared pizza, made with all 3 meats. And because that’s a lot of savory for you to savor, you’ll also be treated to a Le Big Matt inspired whiskey cocktail! 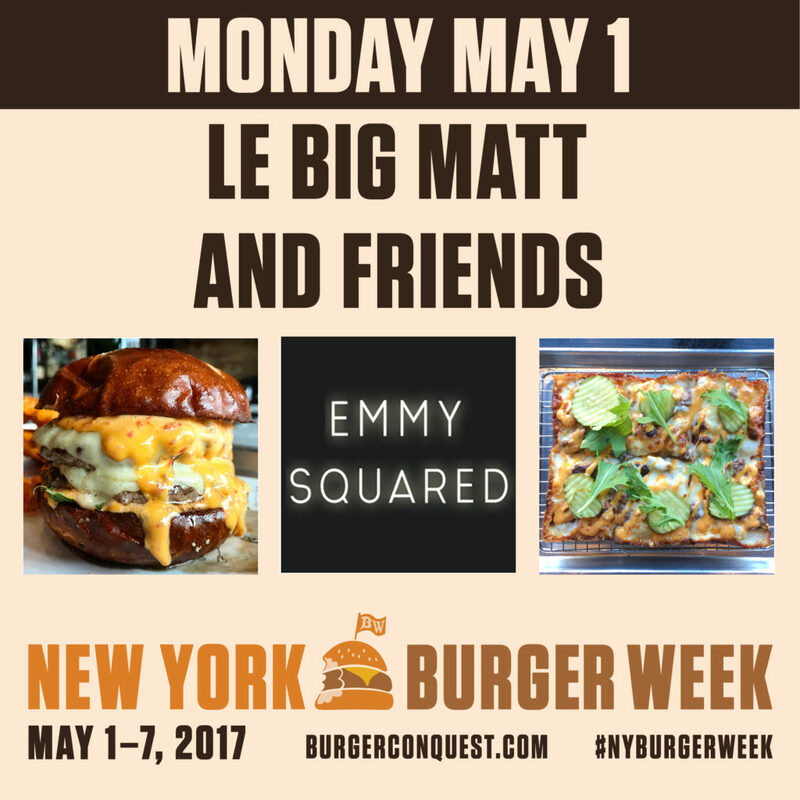 This entry was posted in Burger Week, New York, NY Burger Week and tagged Burger Week, Emmy Squared, Event, Le Big Matt, NY Burger Week, NY Burger Week 2017, Pizza, rev ciancio. Bookmark the permalink.